Home / Environment / Recycling / What Goes Where? Plastic carrier bags are no longer accepted in your grey recyclables bin, please reuse these where possible. Many large supermarkets offer recycling for carrier bags and plastic film. Below are details of what you can and can not recycle in your kerbside collection. For a full list of specific items please see the A-Z list on the right of this page. The compostables bin is green with a yellow lid and is for food and garden waste only. Carrier bags, black sacks and bin liners are not accepted in this bin. Please do NOT put soil/compost/sand, dead animals, pet food, animal bedding, treated wood or animal/human faeces in this bin. Please note: Soil/compost is not accepted in the compostables bin as it does not compost down. Soil/compost also makes the bins very heavy which is a health and safety hazard. Compostables bins containing soil/compost may not be emptied. Please reuse soil/compost where possible and make sure you shake soil from rootballs and weeds. We actively encourage residents to take up composting at home. It is a great way to reduce the amount of waste you throw away by making your own compost to feed your garden. Find out how to take advantage of this offer and further information on why composting is great way to help your garden! Do you love food, but hate waste? 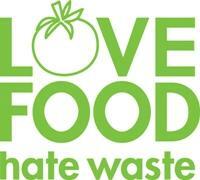 The Love Food, Hate Waste campaign aims to teach people about how they can reduce their food waste. For money saving ideas, tasty recipes and more information on how to reduce your food waste please see the Recycle for Essex website in Related Content. Please ensure items are clean and placed loose into the bin. Black sacks, plastic carrier bags and bin liners are not accepted in this bin. Please note that shredded paper should not be placed loose into the bin, but should be placed into another paper item for example a paper bag or an envelope (NOT a plastic carrier bag) before placing this into your recyclables bin. If you do not have another paper item to place it into, it can be composted in your home compost bin (NOT your green and yellow compostables kerbside bin), or it can be used for small animal bedding. If these options are not available to you, as a very last resort, please place shredded paper into your non recyclables bin . To recycle extra items please use the recycling bank sites located around the District. Here, you can recycle paper, glass, plastics, tins, cans cartons, textiles/clothes and small electrical items. For more information please see the recycling banks page. If you have a small amount of cardboard to recycle this can be placed next to the recyclables bin on collection day. All cardboard boxes should be flattened. The non-recyclables bin is grey with a purple lid and is for items which cannot be placed into either the compostables or recyclables bins. This is the ONLY bin that black bin bags and bin liners can be used in. Please note that building materials such as rubble, bricks and tiles CANNOT be placed into any of the three bins, as there is a chance that they could damage the mechanics of the collection vehicle. If a contractor is carrying out work to your property, any building waste must be taken away by them as it is classed as trade waste. If you are carrying out work to the property yourself, then any building waste must be taken to the Household Waste site in Castle Road, Rayleigh, collected by a registered waste contractor or you can hire a skip to place this material in. Essex Textiles Ltd. provide a fortnightly kerbside collection for textiles on your recycling collection day in blue plastic sacks. Contact Essex Textiles on freephone 0800 787 9071 for a supply of blue recycling bags, or for missed textile collections. You can also call this number to receive a free 'call and collect' service from your door. Please place the bags at the side of your recycling bin on your recyclables collection day. You can find more information about Essex Textiles Ltd in Related Content. *Important information - We have been experiencing a high amount of textile theft. To help combat this please make sure your bags are out for collection at 7am on your recyclables collection day or you can use the free 'call and collect' service. Batteries should not be placed in any of the kerbside bins. Please see the recycling banks page for where these items can be recycled. Clinical waste is any waste that presents a hazard or threat of infection to anyone that comes into contact with it and therefore needs a special collection and disposal arrangements. Syringes, needles or other sharp instruments. Blood or other bodily fluids. Under no circumstances should these items be placed into any of the three kerbside bins. We can collect clinical waste generated in domestic premises by self-treatment of residents. If residents are treated in their home by a community nurse or a member of the NHS profession, any waste produced as a result is considered to be the healthcare professional’s waste and will not be collected by the council. We will not collect any Hypodermic needles that are not contained within a proper sharps box available on prescription. (1) To arrange a collection by the Council. Your healthcare professional is the only person/organisation qualified to correctly assess your waste and therefore we are unable to arrange a collection without completed referral and collection requirements forms. To register for this service please contact Recycling using this form. Please note that the collections will be carried out by a private contractor working in your area and we may raise a cost for the collection plus the costs of issuing invoices to yourself, collecting the monies and paying the contractor. It will take us up to 15 working days to provide the quote. Once you get your agreement for the cost of this service you will be required to pay for the collections in advance. (2) The other option is for you to make your own arrangements direct with a private contractor which may turn out to be cheaper than the council. Please note: Waste produced through treatment in the home by a healthcare professional will not be collected by the council as it must be removed by the healthcare professional unless it is non-hazardous/offensive waste & they have confirmed this in writing. We do not provide a Commercial Clinical Waste Collection Service. If you need a specialist provider, please check with the Environment Agency for registered providers or listings such as the Yellow Pages or search the internet to find a provider. Always check with the Environment Agency that the company is correctly registered.